By combining an existing HIV drug with an antibody treatment, researchers have found a way to eliminate the need for debilitating lifelong therapy of HIV patients. Currently, HIV patients have to be treated with anti-retroviral drugs throughout their lives to prevent the virus from triggering the destruction of the immune system, which causes AIDS. But such long-term treatments come with a large economic burden and significant side-effects for the individual. Now a new drug duo, tested by Professor Ansari and his team at Emroy University, Atlanta, which suppressed the infection in monkeys even years after the treatment was stopped has been announced this week. In the study, published in Science, the researchers supplemented a standard anti-retroviral (HIV) therapy with an antibody that binds to the surface of HIV-infected immune cells and prevents them trafficking to the gut. This is crucial because the gut is a hot spot for damage during acute HIV infection. In an attempt to mitigate the damage, the body commits more immune cells to this area, but this actually accelerates the rate at which damage is done. In the new study, a group of monkeys were infected with the monkey equivalent of HIV, an agent called SIV (simian immunodeficiency virus). Five weeks after infection, the monkeys were treated with the same antiretroviral therapy that is used for HIV patients, with or without the new antibody. While a control group of monkeys developed AIDS after the treatment was stopped, the viral load remained at low to undetectable levels for the monkeys that received the additional antibody treatment. Long-term post-treatment control of HIV like this has only been reported previously in a handful of human patients. "Currently they are two years out, so they have been controlling the virus for a long period of time, spontaneously," says Ansari. "Most importantly, their immune system is back to fully functional levels." Importantly, the result does not mean that the monkeys are cured from HIV, but that virus did not re-emerge and cause disease after the treatment was stopped. However, the new drug duo is now being tested in a twenty patient safety trial at the American National Institute of Health (NIH). And since both the anti-retroviral drug and the antibody are already approved for clinical use, Ansari is optimistic. "That is why it is exciting to see this go forward in the clinic." "Despite these good prospects, there are challenges to be addressed. 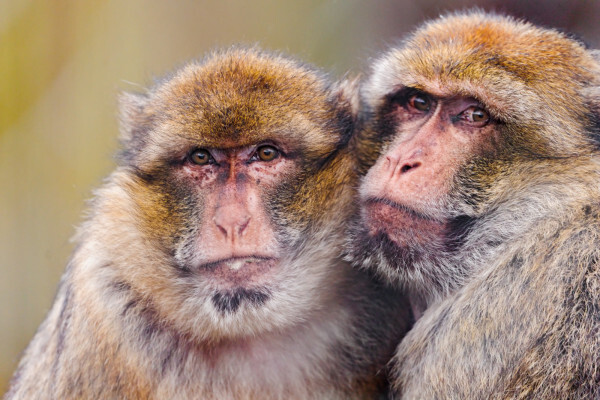 Three out of eleven monkeys that were treated with the antibody developed their own antibodies against it and had to be excluded from the study. This inherent problem of antibody therapy has to be addressed. Additionally, while the monkeys were treated only weeks after infection, patients normally don't notice HIV until much later on. For Ansari, the prospects of long-term control of HIV make the efforts worthwhile. "This finding could become a blueprint for an alternative therapy of HIV," he remarks, although he cautions that we still ahve a lot to learn. "How [the drug duo] works in the setting of chronic infection is still far from clear." Next Gene editing to cure blood disorder?